Of course that was easy. It's harder to do things right. 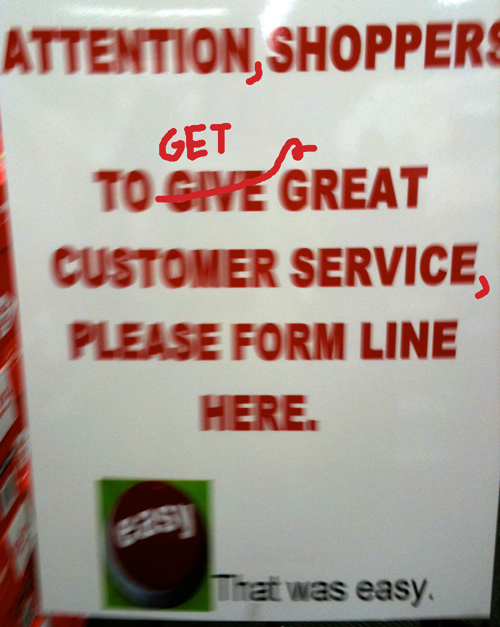 Staples meant "For us to give great customer service . . ." Somebody didn't get their knuckles rapped by a caring English teacher, and now look.